Having a warm body filling a seat at a board table without them returning any value to the board and organisation is one of the biggest frustrations of board members. 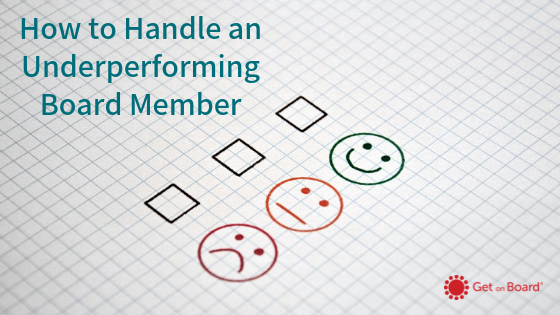 Today’s article will address some methods of handling an underperforming board member. This is an unfortunate scenario that occurs on many boards. Thankfully it means you’re not alone, and that there are ways to deal with those folks who may not fully value the position and requirements of director. First and foremost, dealing with a board member who is misbehaving is the responsibility of the Chair of the Board. Think of your Chair as the team leader. If you have a concern or problem with a fellow board member, your first action should be a private conversation with the Chair. In addition to being the appropriate thing to do, this may save you from potential embarrassment as the Chair may know something about the board member that explains their current behaviour. The Chair can reassure you that they are aware and are dealing with it away from the board. Of course, it may be a situation where the Chair is aware of the performance issue and is grateful for you bringing it to them privately and offering support to work through this situation to a satisfactory conclusion. It’s then up to the Chair to talk with the underperforming director privately to understand what’s going on from their perspective – “seek first to understand, then to be understood”. 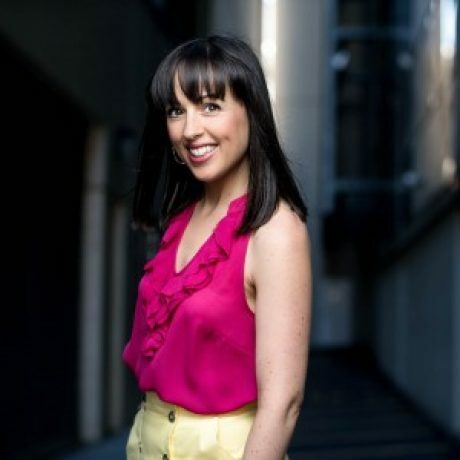 The Chair should then work with the underperforming director to reinforce the standards of performance, encourage them to contribute via allocating specific tasks or jobs, and/or help them to transition off the board. This is why it’s so important to have a strong leader in the role of Chair of the Board. Their skill and willingness to lean into an uncomfortable situation is extremely beneficial in times like this. Side note: If the Chair is your problem board member, that’s a bit of a different ball game. I’ll cover that in a future article. 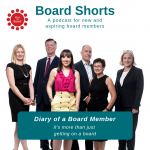 Aside from the Chair taking a proactive approach, there are a number of things that the board can and should do to stop board members underperforming or certainly minimise the effect that these people will have on the board and organisation. My motto around this is ‘Prepare for the worst, hope for the best’. Have a mechanism to remove directors apart from, and in addition to, term limits. This involves including clauses in your constitution regarding basis for removal of directors. Generally, these clauses cover: a specified number of missed meetings without having taken leave (e.g. 6 missed meetings in a row), serious misbehaviour that brings the organisation into disrepute or is unbecoming or prejudicial to the objects and interests of the organisation, failure to declare a conflict of interest (which is also a breach of director’s duties), becomes a bankrupt (which disqualifies an individual to be a director), becomes of unsound mind, and other such actions. Have explicit and agreed standards that are followed by board members. Either via a board charter or code of conduct. Have consequences for not adhering to these standards, charter, or code of conduct. Have a set of clear and shared values that are demonstrated and reinforced by agreed-upon behaviours and actions. This a powerful conversation to have as a group and can lead to a strong, positive culture in the boardroom. These shared values can be used to measure the performance of the board as a whole at the end of each meeting or at regular intervals during the year, or can be revisited when peoples’ behaviours become a concern. It’s something that all board members should sign on to and agree to live by. Having them on a poster in the boardroom will help keep them front of mind and elevate their importance. Provide education to build knowledge and awareness. We generally don’t come to boards with an inherent understanding of what’s right or wrong, normal or abnormal, acceptable or unacceptable. Encourage and, if you can, invest in building the governance awareness and knowledge of your board members. Enabling your board members to be the best they can be leads to positive outcomes for the board and organisation. Investment into education doesn’t have to cost a lot of money; this article here has some ideas for free director development options. An underperforming board member is every board member’s worst nightmare. With some preparation and proactivity from the board and Chair, it is a problem that is relatively easy to solve, or even avoid altogether. Are you struggling with an underperforming board member? Where are your roadblocks with managing the situation? Share in the comments below. 0 responses on "How to Handle an Underperforming Director"